Email Address Would Be Created In Bangla 2018. That’s great news for Bengali language peoples. Specially Good news for Bangladeshi people is Email address would be created in Bengali language. Recently Microsoft Announced Support ‎for making E-mail Addresses in 15 Indian Languages. Microsoft announced on 21 February support for e-mail addresses in 15 Indian languages including Bengali, Hindi and Tamil with Office 365, Outlook 2016, Exchange Online Protection (EOP), Outlook.com, Exchange Online. This initiative is a milestone for company’s ongoing efforts to support Email Address world wide. Users would be able to use their Indian local language e-mail addresses via Outlook accounts on their PC, company declared opportunity on Wednesday, 21 February on this occasion of International Mother Language Day. Reportly this facility will be available with Office 365, ITLOOK 2016, Outlook.com, Exchange Online and Exchange Online Protection. Fifteen languages ​​are Bengali, Hindi, Konkani, Maithili, Boro, Dogri, Marathi, Nepali, Sindhi, Gujarati, Manipuri, Punjabi, Tamil, Telugu and Urdu. Those languages user’s ​​could be open an e-mail address using their own mother language through their Outlook account. Through Outlook account on internet. Users could be able also to send or receive e-mail in their local language. The initiative is a excellent step towards the company’s ongoing efforts to making Email service Internationalization (EAI) across its services eco-system and making technology more efficient and accessible in various local languages. It would also allow users to send to a local language email address or receive emails from local language e-mail addresses via Outlook client on PCs, Outlook.com in addition to Outlook apps for Android and IOS. Creating e-mail addresses available in 15 languages is a part of making communications more easier to use for all, said Microsoft India’s officials. 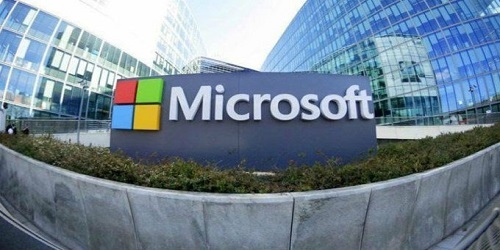 Mittul Patel, CEO of Microsoft – India said in a statement, they had a dream about email that one day we would be start email service in local languages ​​to make communication system more advanced and easier. Now it just been implemented. Patel also said “We are making technology use the language of people and not requiring people to first learn traditional language of technology,” Patel added. This facility will be available with Microsoft Advance Browser, Bing Search, Bing Translator website, Microsoft Office 365 ward, access, power point, outlook and skype. Microsoft is the Technology legend of whole world. It offers opportunity to create e-mail addresses in fifteen languages ​​including Bangla. Microsoft proclaim this opportunity on the occasion of International Mother Language Day. Mythological technology company “Microsoft Corporation” is an American multinational technology company. It’s headquarters located in Redmond, Washington. USA. It develops, manufactures, and sells computer software, personal computers, consumer electronics and services. Microsoft was founded by Paul Allen and Bill Gates on April 4, 1975, to develop and sell BASIC interpreters for Altair 8800 initially.